Player 2 has the puck. Both players skate out around the face-off marks. 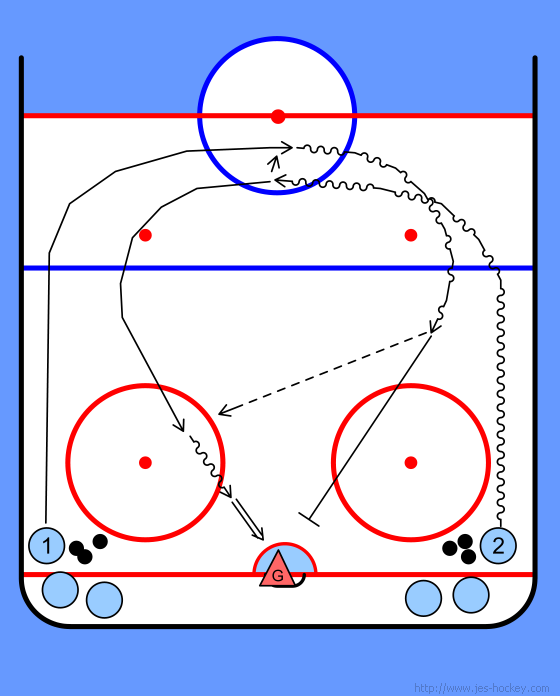 Player 2 hands the puck off to player 1, and both skate back toward the goal. Player 1 passes back to player 2 who shoots on goal. Each player goes to the end of the other line. Encourage the players to communicate with each other so they know who's going high and who's going low on the hand off.